5.0" Capacitive Large LCD: Vibrant resolution and intuitive mulit-touch screen. 5.0 Megapixel Camera. Multiple Camera Modes. Android Ice Cream Sandwich 4.0 Create your own mobile world filled with the hottest apps and high-powered features. Gain access to over 300,000 apps in Google Play. 3. Unzip and start SuperOneClick. It will ask you to install the drivers, Just Install it until it done. 5. 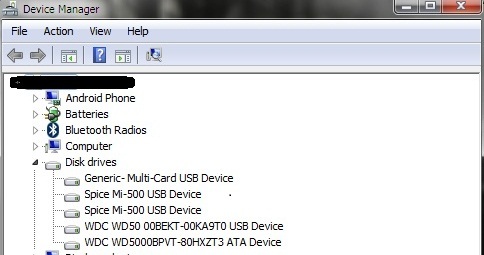 After the drivers install successfully you can see like this on your device manager. 6. Unzip Bin4ry Tools, Then Locate the "runme.bat". 7. It ask your device type just ENTER "1". 8. Follow the instruction choose Normal. 9. At the process it asked you to click restore the after that your device will reboot. 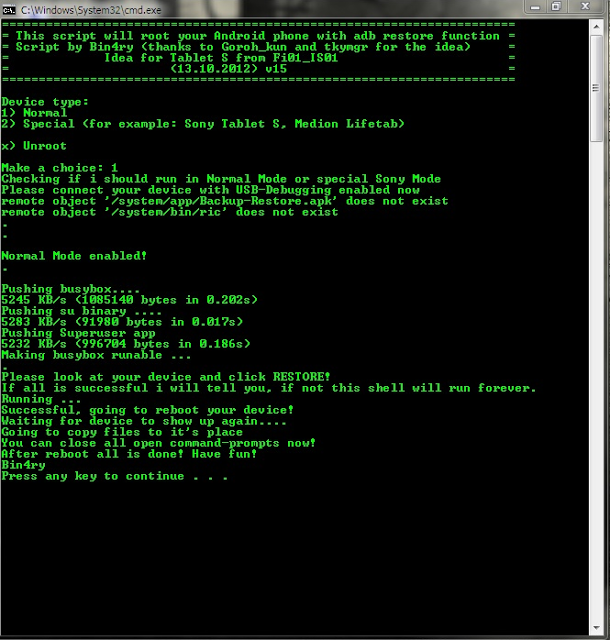 then, the command will look like this. 9.1. For the ClockWorkMod Recovery just follow this instructions. 10. 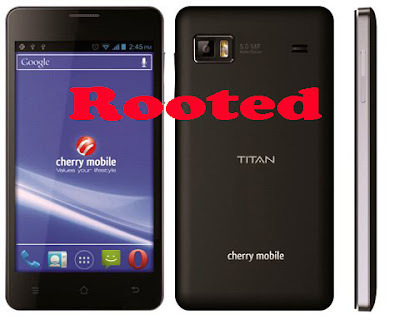 Congrats your TITAN Cherry Mobile now rooted.